In March of 2007 Partimus was officially acknowledged as 501(c)(3) Organization for our educational work. To celebrate, we thought we’d take a look back over the past ten years, to see how we’ve grown and changed as an organization. As we were working on incorporation in 2006, our efforts began quite broadly. We shipped five computers to the Computers-4-Kids organization in Austin, Texas. 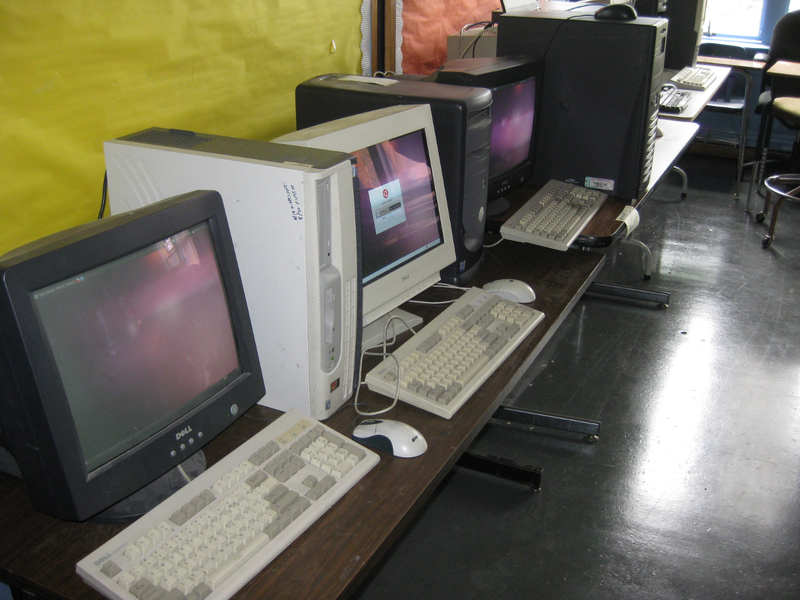 In 2007 incorporation allowed us to be eligible for a grant from the Anita Borg Foundation to acquire and supply five computers to an all-girls after-school mathematics club for 5th graders run by CEMELA (Center for the Mathematics Education of Latinas/os). 30 desktops were also built, installed, tested, and shipped to an elementary school in Huajuapan de Leon, Mexico in collaboration with ZaReason. In 2009 efforts started to focus more locally in the San Francisco Bay Area, where our efforts remain today. In 2009 we installed a total of 51 stand-alone Linux-based systems at two schools, including a fully-fuctional 31-seat Linux computer network at the Creative Arts Charter School and systems at KIPP San Francisco Bay Academy. Work continued with support, computers and labs throughout the bay area, including Mission Beacon, Precita Valley Community Center, International Studies Academy, and Hayes Valley Learning Center in San Francisco, and the Prescott School and ASCEND Charter School in Oakland. Today our work continues with an initiative to support adult learning. In February of this year ECS announced the formal completion of our 18-month project with them to provide public computers for their residents. Work continues on these six sites with over a dozen computers as we maintain and improve the labs, as well as look into further education opportunities for the residents. Huge thanks to all the volunteers, individual donors, companies, and organizations who we have collaborated with over these very productive ten years. We’ve helped hundreds of students with access to computers, worked with teachers, community leaders and more to empower the spread of education through technology in our communities. Learn how you can support us financially by visiting our Donate page. Back in October, Christian Einfeldt interviewed Liz Pocock, the Director of Housing Development and Asset Management at Episcopal Community Services (ECS) about her work in low-income housing facilities and how the residents had been using our Linux-based computers in the first residence we deployed in, The Crosby. Over the winter, I spent some time debugging some slowness issues over at The Crosby with one of the residents. A new switch was purchased with Partimus funds to replace an aging hub that had been used previously. With that, their networking was fast again! Christian also spent time debugging a few issues, including some problems with logins and changes to default settings. This spring, Christian has continued his work with ECS to meet with staffers to futher the progress of bringing donated computers running Lubuntu to install systems into more low-income facilities. 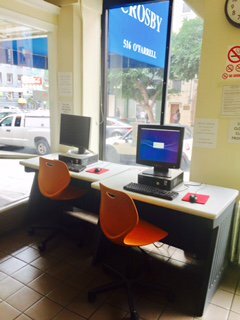 Today in addition to The Crosby, we also have computers at the Elm low-income shelter. Our work is continuing into a third and fourth ECS facility as we speak. 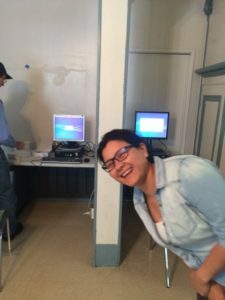 One of the staffers hilariously photobombs a shot of a @lubuntudesktop installation at the Elm low income shelter. This brings our total today to four computers at two low-income facilities. We’ve been delighted to see how well the Lubuntu desktops are received. At the request of residents seeking to use an office suite, LibreOffice has also been installed on the systems. Our hope is that these networked systems that provide internet access to the residents will empower them to take a more active role in a community and world that’s so heavily connected. If you’re interested in donating some computers or offering your services to Partimus, reach out to us at contact@partimus.org with details about your hardware or skills. We’re specifically looking for experienced Linux systems administrators who can make the time to implement and document the creation of a provisioning and proxy server at each location to ease installations and be more gentle on the bandwidth. Learn about our minimum specifications for hardware requirements and other ways to donate on our website: Partimus Donations. Partimus is a 501(c)3 nonprofit organization, donations are tax deductible in the US. You’ve heard of “Black Friday” and “Cyber Monday”. Now here comes “Giving Tuesday“, an effort to formally kick off the season of giving. Giving Tuesday was started by a New York City community organization called 92Y, which is an educational organization on 92nd Street and Lexington Street in New York City. 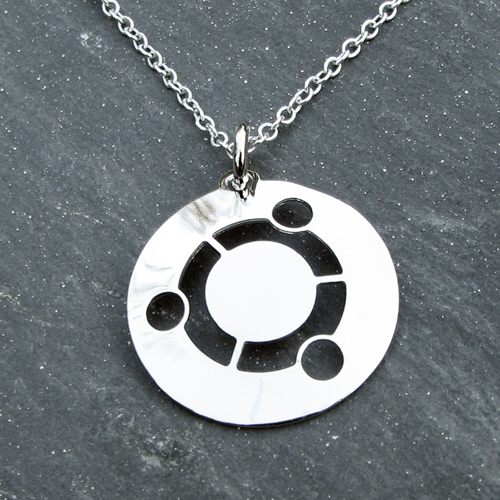 You can help us make this happen by either purchasing a beautiful Ubuntu-themed set of earrings or a Ubuntu-themed necklace, or by simply donating directly to our efforts. Partimus is an all-volunteer organization, and your donations will help us grow our mission, reach more schools and low income shelters, and be more effective at bridging the digital divide. Six dollar from each set of earrings and $10 dollars from each necklace will go directly to Partimus, a registered 501(c)(3). The beauty of giving to Partimus is that you will help us teach schools and low income shelters that beginning now with free open source software such as Ubuntu GNU-Linux will assure that these institutions will always have access to the latest, best software without burdensome licensing costs. 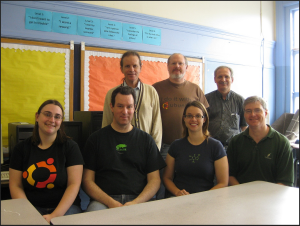 The story of free open source software is the story of “doing humanity to others”, which is what the word Ubuntu means. Go here to see former South African President Nelson Mandela talk about the African concept of Ubuntu. Partimus has recently installed and is now supporting GNU-Linux computers in a low-income housing residence in San Francisco called The Crosby. Located in San Francisco’s Tenderloin district, The Crosby is run by the Episcopal Community Services of San Francisco (ECS) which provides about half of the adult shelter beds in San Francisco, according to its website. Partimus has started its work at The Crosby with a pilot projects of two machines running Ubuntu 14.04 LTS. For beautiful and inspiring videos of how ECS is helping people transition from homelessness, go to this website and scroll down or go here for the story of the end to Jimmy’s homelessness or here for the story of the end to Rita’s homelessness. What is your role with The Crosby and ECS? I am the Director of Housing Development & Asset Management for ECS. I ensure that each of ECS’s sites, including The Crosby, is in compliance with regulations and standards regarding building safety. 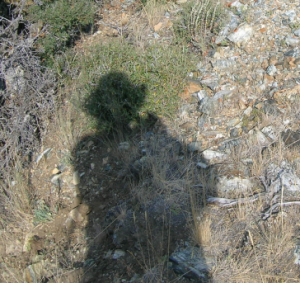 I plan and arrange for improvements–physical and aesthetic–at all sites, and secure the funding to make it all possible. In a nutshell, what is the mission of ECS in general and The Crosby? ECS’s Mission: ECS of San Francisco helps homeless and very low-income people every day and every night obtain the housing, jobs, shelter, and essential services each person needs to prevent and end homelessness. ECS’s Support Services Team at The Crosby operates with this mission in mind while they support their residents (all of whom are formerly homeless) in various ways with the ultimate goal of helping residents remain stably housed. How long had you been considering providing public access computers for residents at The Crosby? ECS strives to have computer labs at every property, but public access computers such as the ones provided by Partimus were a new and innovative idea that came from talking with (Partimus Board member) Christian Einfeldt. How does the Partimus Linux mini-lab fit in with your mission at ECS in general and The Crosby in particular? Providing The Crosby with community computers and WiFi, free-of-charge, helps enable them to easily access the online and offline resources that many of us take for granted, from job and skills attainment to convenient email access to word processing. What is your first impression with Linux so far, compared with your experience with Microsoft Windows? Meaning, is Linux fairly similar in your experience thus far, and if there is a difference, what is it? Or does Linux seem to be pretty much the same as Microsoft Windows in what it can do? Our residents report no difference or difficulty navigating the computers! What is the reaction of the residents so far to the Partimus Linux mini-lab at the Crosby? Very happy and highly utilitized! We have a lot of residents hopping on and off several times a day. It really helps them be able to navigate the world with much more ease. Do you see any other uses for Partimus Linux computers in the future with ECS or The Crosby? ECS hopes to bring community computers to all its housing sites and programs as well. The use of free open source software in schools is already quite big, and yet it’s still in its infancy. Here is a story about two different people and the remarkable results they have created with free open source software in the education communities they lead. What’s common to these stories is the educational value of involving students in the development and implementation of their technology. If you are wondering what can be done with free open source software in education, look first to these two leaders as an example of the great thing that can be accomplished. Charlie Reisinger delivering his TEDx talk on free software in education. Charlie Reisinger. Charlie wanted to experiment with free open source software in education, and he decided to go big. 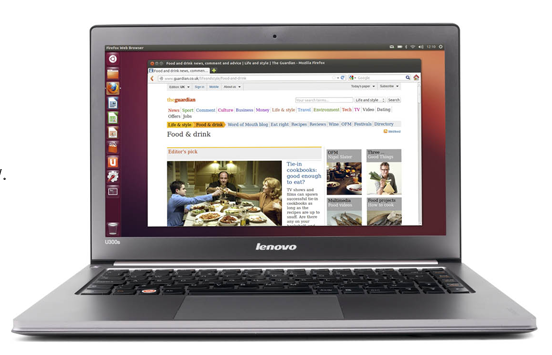 He envisioned high school kids taking home Linux notebooks. But not just the techie kids. All of the kids. He eventually rolled out an install base of 1700 notebook computers in the Lancaster, Pennsylvania, school district. But the particularly cool thing about his project was the way he included students into the project. Doing the project became an education experience in itself. 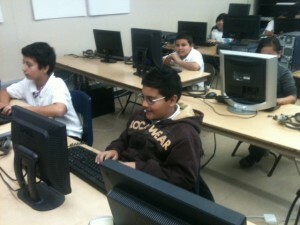 Working under close adult supervision, the kids installed Ubuntu GNU-Linux on the laptops. And the kids are also part of the support team, with their support team blog here, and their twitter support account here. His effort was so successful that he was invited to give a talk on it at the famous TEDx conference. If you want to get a big picture of what Charlie is doing with his Linux in education project, click here on his TEDx presentation. 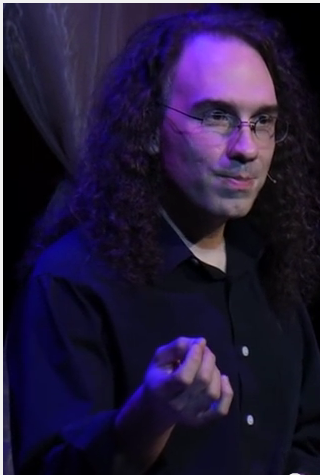 If you want inspiration about what free open source software can do in education, be sure to watch Charlie’s TEDx talk. And you can follow Charlie on Twitter here. Not content to rest on his laurels, after just one year of running the one-to-one laptop program in high school, Charlie is planning to roll it out to middle school students in the Autumn of 2015. 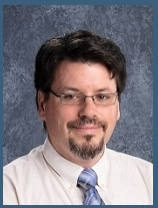 Stu Keroff’s Staff Photo for the Community School of Excellence in St. Paul, Minnesota. Stu Keroff. 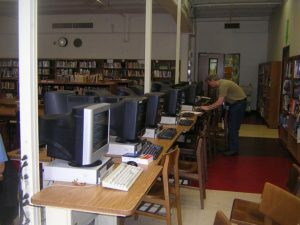 Stu orchestrated the acquisition of a cart of 30 Linux computers and a Linux mini-lab of 5 machines for a middle school called the Community School of Excellence in St. Paul, Minnesota. Most of the students at the school are Hmong and Karenni. Stu has called on the students’ common cultural heritage to foster a strong sense of community identity with his young Linux technicians, who call themselves the “Asian Penguins“. You feel that sense of community by watching the videos on the Asian Penguins’ website. In watching those videos, I was struck by how articulate, mature, and responsible these middle school students are, shown in this local TV news story about the Asian Penguins. They don’t seem to be silly or giggly in doing their technology work. They seem to understand the value of having control over their technology, of taking ownership of it. For example, they also seem to do a good job of taking charge of the installation of Linux computers in the homes of people in the community, as shown here, where a group of girls install a Linux computer in someone’s home. As with Charlie Reisinger, Stu Keroff understands that the practice of working on these Linux machines, managing the machines, and installing them in homes is itself a hugely valuable educational experience. You can follow Stu here on his Twitter page. Yesterday was what you would call a good day. I met Jim Stockford in the morning at 8:00 am in San Francisco, and he drove us from San Francisco down to San Jose to meet David Eisenberg, a local college professor, to pick up some computers that David had in storage. 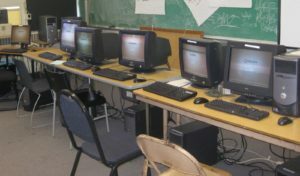 Fifteen computers, to be exact, all of which meet the Partimus specs, for deployment in public schools such as the Ascend school in Oakland. We loaded all fifteen machines, with monitors, into Jim’s SUV and David’s sedan, and headed over to the Ascend school in Oakland, where we dropped off the machines with Ascend technology teacher Abigail Rudner and her volunteer assistant, Brianna Niver. Professor Eisenberg not only acquired the 15 new machines for Partimus, he also stored them for a considerable time and then help load, unload, and drive them to Oakland. Thanks so much for your help and your remarkable donation, David! 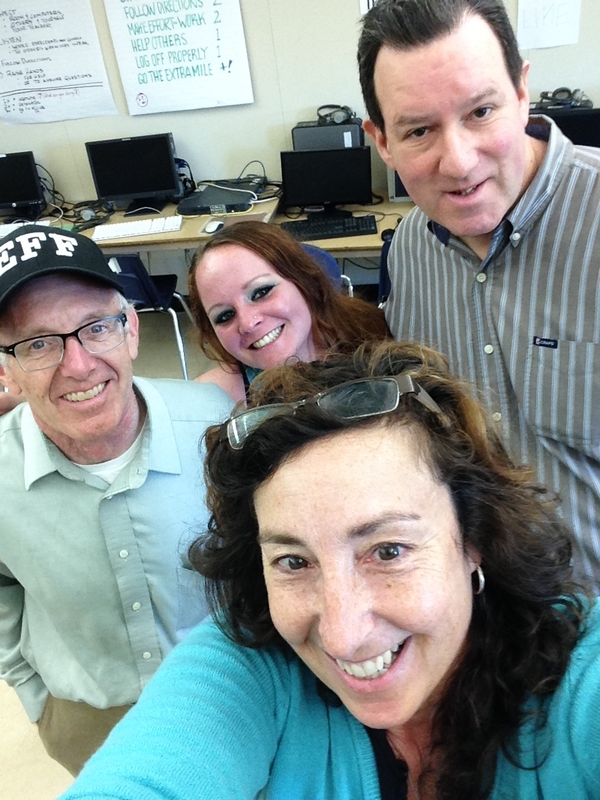 Thanks very much to David Eisenberg, Abigail Rudner, Brianna Niver, and Mystery Man Jim Stockford for your great help! Partimus was founded by two women, Cathy Malmrose and Maile Urbancic, and ever since, supporting women in STEM has been an important priority for Partimus. So we are re-posting this email to help spread the word about upcoming coding opportunties for women and girls. First is Girls Who Code. If you know a girl who you think might be interested in exploring coding this summer, now would be a good time to bring Girls Who Code to her attention. Girls Who Code provides girls with exposure to both great experience in creating with code, as well as exposure to highly successful women in technology, meaning women who run major tech organizations and companies. Prior knowledge of coding is not necessary, and girls who are completely new to coding have created some really significant pieces of software as part of the summer program with Girls Who Code. But time is running short, so now is the time to look at this program. Google Summer of Code is a global program that offers students stipends to write code for projects from 137 participating FOSS organizations. Applicants must be able to make the project their primary focus during the summer. Participants work remotely from home, while getting guidance from an assigned mentor and collaborating within their project’s community. The application deadline for Google Summer of Code is March 27 and the program dates are May 25 to August 21. The stipend for the program is $5,500 (USD). In an effort to improve diversity in FOSS, a number of organizations are offering similar remote and mentored Outreachy internships through a program organized by Software Freedom Conservancy. These internships are open to women (cis and trans), trans men, and genderqueer people. Applicants must be available for full-time, 40-hours a week, internships. The application deadline for Outreachy is March 24 and the program dates are May 25 to August 25. The stipend for the program is also $5,500 (USD). Unlike in Google Summer of Code, participants do not need to be students and non-coding projects are available. In addition to coding, projects include such tasks as graphic design, user experience design, documentation, bug triage and community engagement. To apply for either program, you need to connect with a participating organization early, select a project you want to work on, create a project plan, and make a few relevant contributions. Mentorship opportunities are also available throughout the year for anyone interested in getting started contributing to FOSS outside of the internship program. Please consider applying for Google Summer of Code or Outreachy, encourage someone else to apply, or help spread the word by forwarding this message to any interested university and community groups. 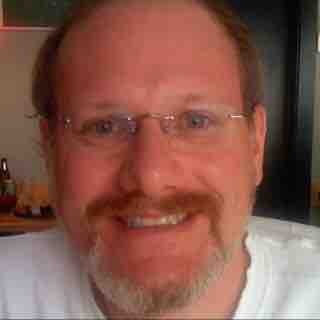 Eric P. Scott, a frequent Partimus volunteer. Thanks for all you did for Partimus, Eric! 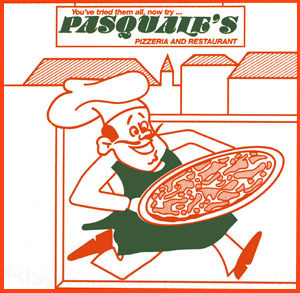 A celebration of Eric’s life will be held on March 18 at 7:30 pm at one of his favorite pizza restaurants, Pascquales Pizzaria at 700 Irving Street, 415-661-2140, near the corner of 8th Avenue in San Francisco. Please RSVP to Ron Hipschman at ronh at exo dot net if you are planning on attending.